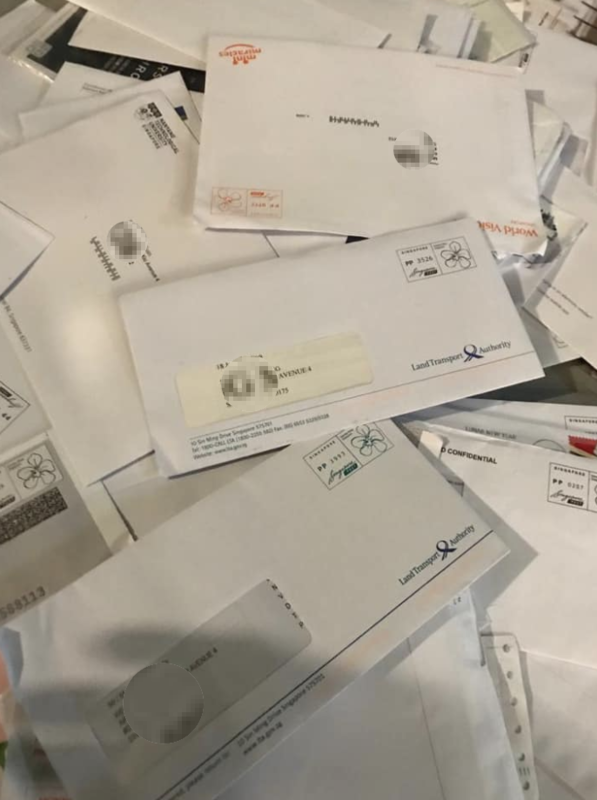 Singapore – SingPost has been on the hot seat recently with many customers expressing their frustration towards postmen being too quick to leave delivery notices without making an effort to check if the recipient was home. 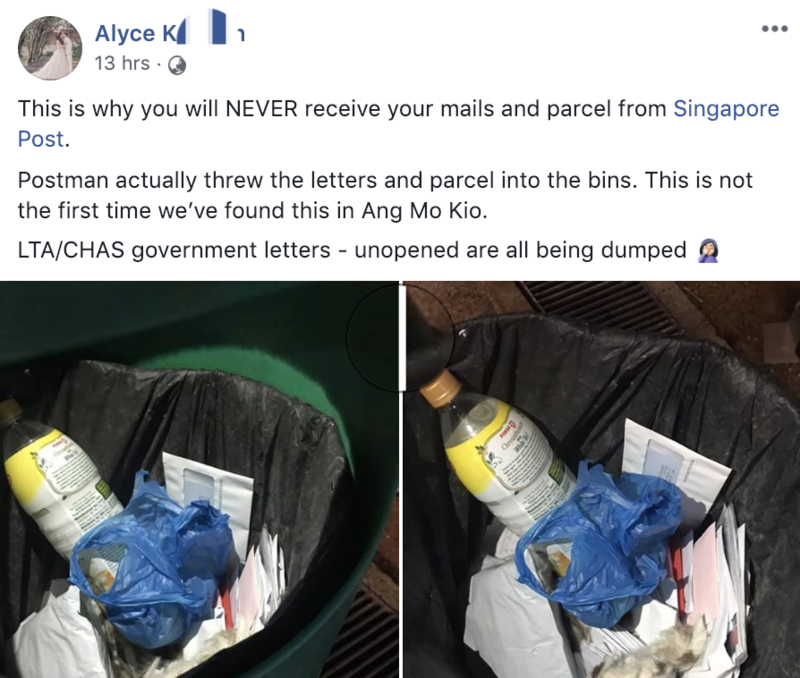 Apparently, SingPost took it a step further when netizen Alyce K., whose full name has not been disclosed due to implications on confidentiality made from her post, discovered a trash bin full of unopened mail and parcels from SingPost that never made it to their destinations. 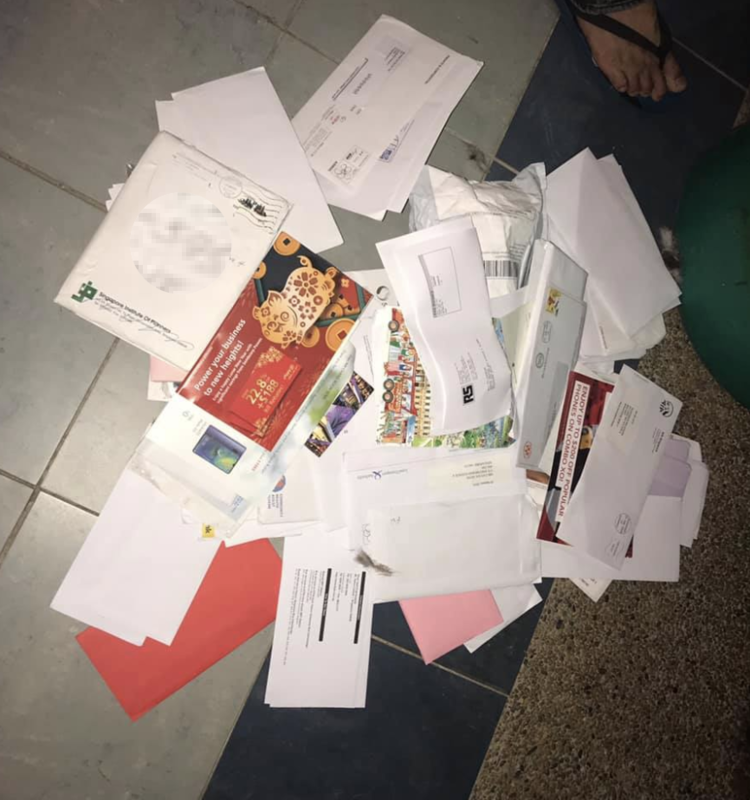 On January 28, Monday, Ms. Alyce, who lives in Ang Mo Kio, opened the residential’s trash containers and saw around 30-40 unopened mail and parcels that came from SingPost but never made it to their designated recipients. 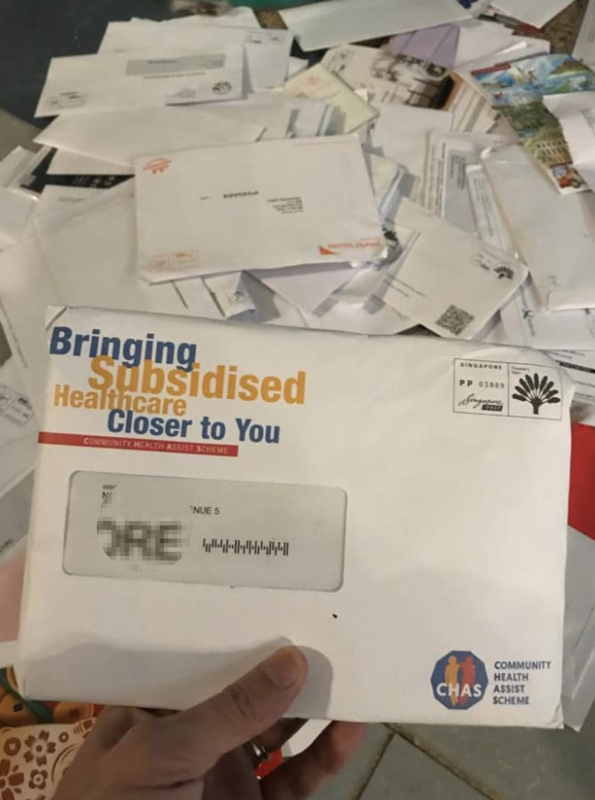 There were government letters from the Community Health Assist Scheme (CHAS) and Land Transport Authority (LTA) included in the trash. She wrote: This is why you will NEVER receive your mails and parcel from Singapore Post. Postman actually threw the letters and parcel into the bins. This is not the first time we’ve found this in Ang Mo Kio. LTA/CHAS government letters – unopened are all being dumped. According to Ms. Alyce, unopened letters being found in their trash was not an uncommon occurrence and it has happened before. CHAS letters meant for citizens from lower-and-middle income households contain medical and dental care subsidies, therefore, these are important documents that must be safely delivered to the owner. They did have a point because the exact address and even the location of the trash bin was already mentioned in the post itself. 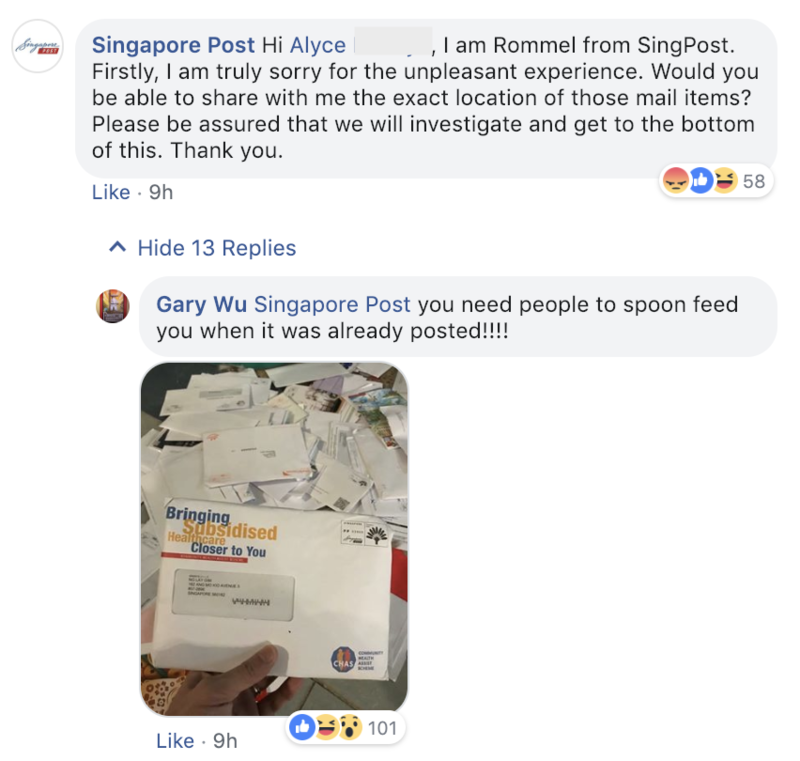 Netizens are just shaking their heads at how many times SingPost has botched their operations recently. Aiz Chix gave his two-cents and urged the organization to review and revamp their management and system. 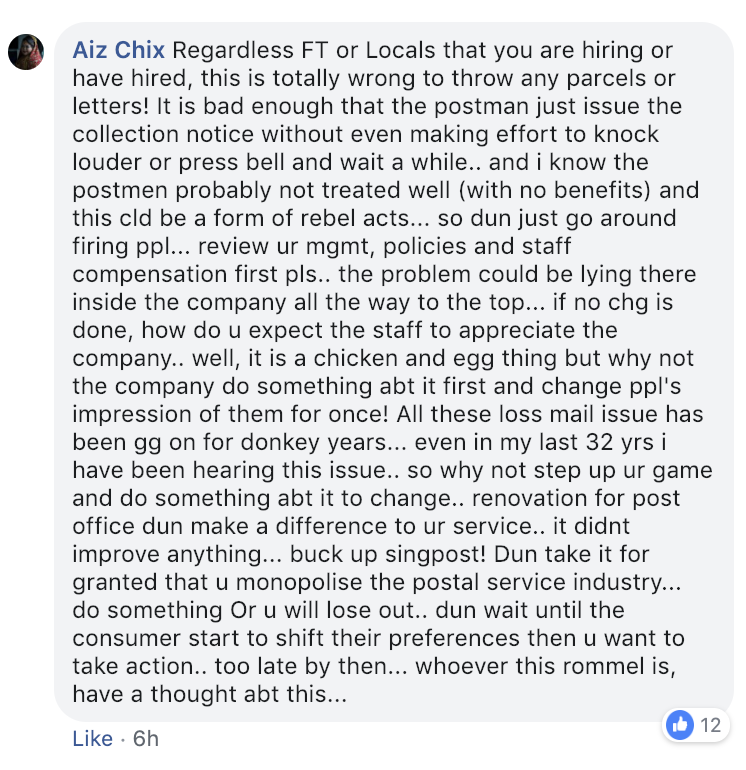 Linda Goh made a good suggestion by asking if customers could charge SingPost for any late charges incurred because of the company’s negligence. “SingPost is aware that images of letters allegedly discarded in a bin are circulating online. Based on the addresses on the letters, a team was immediately dispatched to comb the area overnight. The bin was located and the team expanded its search to every bin within the vicinity, with no success of locating the letters. Letter boxes were also opened to check if these letters had been delivered to affected recipients. Concurrently, our customer service team has gotten in touch with the Facebook user but has not received a reply as it was late in the night. We are also conducting interviews with the postman on duty. Our main priority currently is to locate the letters and have them delivered to intended recipients. 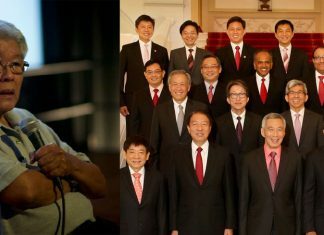 TISG has reached out to SingPost for further comment.